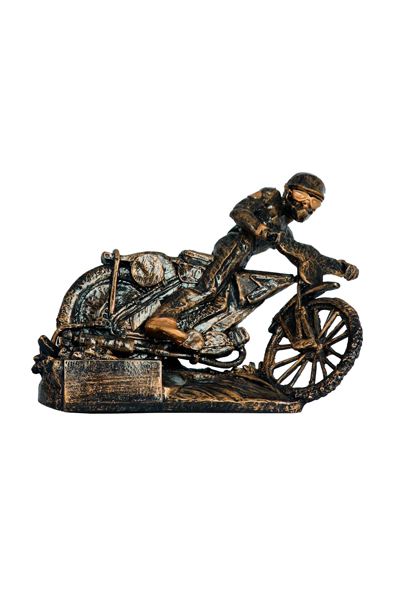 Speedway racing has a long tradition There are many tournaments where you can win individual or team prizes. The very trophy to honor them can be this resin statuette. For sure this statuette can replace traditional awards or be a great advertising gimmick or gift for fans of the sport.